Simplicity requires finesse, a lesson I learned from my best friend’s ex boyfriend’s Chinese father about stir frying. In collaborating on vegetable stir fry, I was ready to throw everything into a hot wok, when he stopped me, organizing everything into neat categories designed to make the most of the vegetables, creating the perfect balance of crunchy and tender. First come the aromatics: ginger, onion, garlic quickly flashed in smoking hot vegetable oil until fragrant, then the most firm vegetables, such as celery and carrots, stirred quickly to sear. Next the medium-firm veggies, like peppers, broccoli, mushrooms, snow peas, and last, the tender greens like spinach, bok choy and cabbage. At last, a quick toss in a seasoned liquid. With this blueprint, you can adapt to any farm box delivery or cooler drawer, and even add in protein like browned tofu, shrimp or chicken. Brown the tofu well, then pull out of the pan before adding the vegetables. 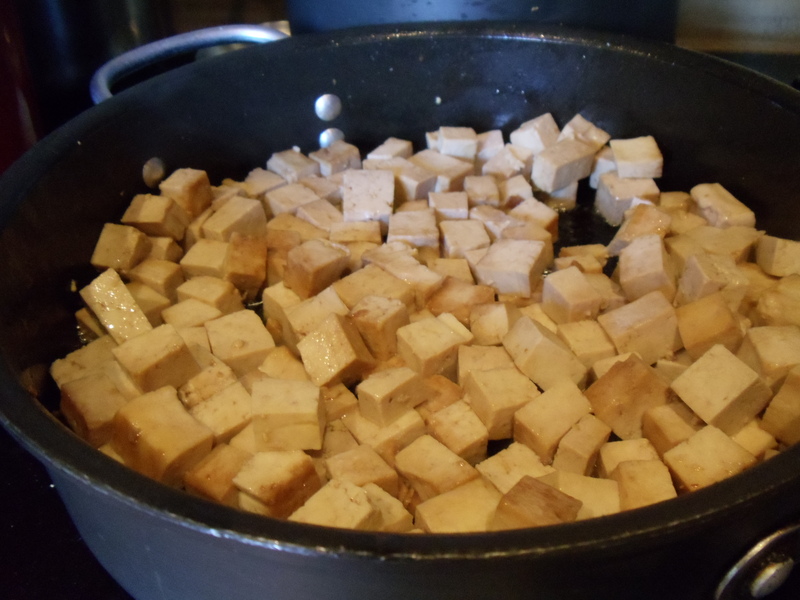 Mix the stir fry sauce, and use half to marinate the tofu cubes for 30 minutes. 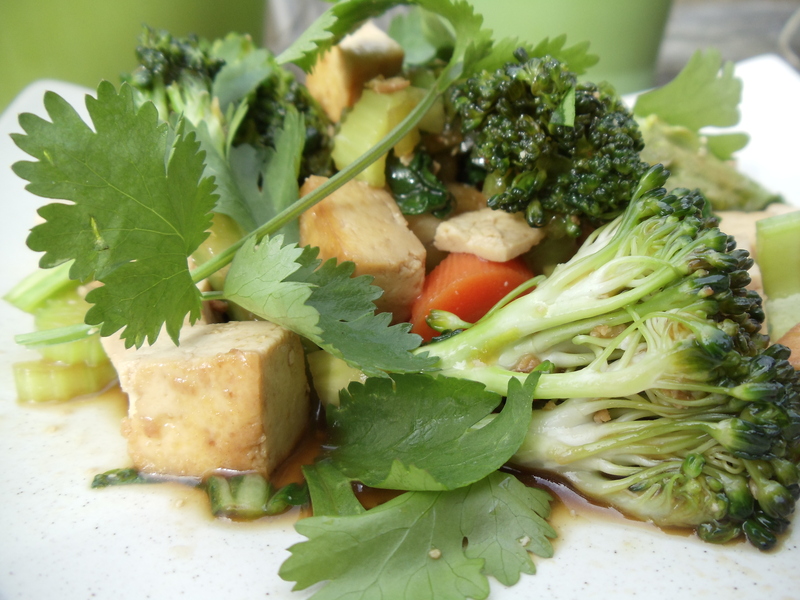 Drain the tofu, reserving the sauce, and pat the tofu with a paper towel to remove excess moisture. Heat a wok or large skillet until very hot, then add vegetable oil to coat the bottom of the pan. Add the tofu and brown until golden, then remove from the pan onto a paper towel to drain. Add additional oil if needed, and cook the ginger, garlic and onion, stirring very quickly to prevent burning. Cook until fragrant, about 1 minute, then add the firm vegetables, continuing to stir. Cook the firm vegetables for about a minute, until they turn brightly colored and start to sweat, then add the semi-firm vegetables. Stir to combine and cook for an additional minute. Add the remaining vegetables and cook for another minute, stirring to combine, then add the stir fry sauce and the tofu. Stir to completely coat the tofu and vegetables, then serve.